*This is an NFA weapon that requires a $200 tax stamp. $1869.99* - (720)898-4747 Price and availability subject to change without notice. 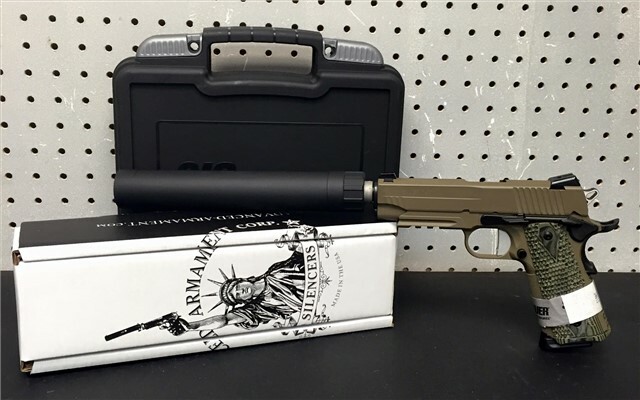 Notes Included: (1) Sig Sauer factory hard case, (2) factory magazine (s), thread protector, (1) AAC factory box, (1) AAC TI-RANT-45 suppressor , *This is an NFA weapon that requires a $200 tax stamp.